Tamil Nadu is bounded by Karnataka and Andhra Pradesh in the north and Kerala in the west. The eastern and western tips of the Tamilnadu are defined by the Point Calimere and Mudumalai wildlife sanctuaries while the northern extreme is Pulicat lake and the southernmost tip is Kanyakumari, the land's end. Tamil Nadu is principally washed by the Cauvery, originating in Coorg in neighbouring Karnataka . Chennai, the capital of Tamil Nadu is known for its beautiful beach resorts. Tamil Nadu, the cradle of south Indian temple architecture, is a living museum of styles that originated in the 7th century and matured in the huge temple complexes studded with towering gateways-"Gopurams"-that soar above the markets of almost every town. Mahabalipuram, Kanchipuram, Chidambaram, Kumbakonam, Rameswaram, Palani, Srirangam, Tiruttani and Kanyakumari are some of the famous pilgrim centres in Tamil Nadu. The famous Meenakshi temple of Madurai is a must see. In the west of the state, where the hill stations of Kodaikanal and Ooty are the premier travel attractions, sylvan hills offer mountain views and a network of trails winds through forests and tea and coffee plantations. Mudumalai Wildlife Sanctuary, a vast spread of deciduous forest in Tamilnadu dominated by teak, offers a good chance of spotting elephants and dholes, wild pack-hunting Dogs, Tigers and Leopards. Annamalai Sanctuary in Tamil Nadu, closer to Kodaikanal in the Palani hills, is better known for its Lion-tailed Macaques (black-maned Monkeys). The wetlands of the coast provide perfect resting places for migratory birds, whose numbers soar during the winter monsoon at Vedathangal, near Chennai, and Point Calimere. Tamil Nadu was ruled by three major dynasties-the Cholas in the east, the Pandyas in the central area and Cheras in the west. This was during the Sangam Age-the classical period of Tamil literature-that continued for some 300 years after the birth of Christ. The Pallava dynasty was influential particularly in the 7th and 8th centuries, the testimonies to which are the monuments at Mamallapuram. In the 13th century, with threats of Muslim invasions from the north, the southern Hindu dynasties combined and the empire of Vijaynagar (also spelt as Vijayanagar), which covered all of South India, became firmly established. However, by the 17th century, due to the disintegration of the Vijaynagar Empire, various small rulers like the Nayaks ruled southern India. 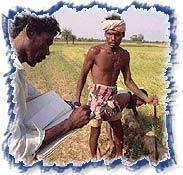 Although Tamil Nadu is one of the most urbanized states of India, it is still a rural land; agriculture is the mainstay of life for about three-quarters of the rural population. The principal food crops are rice, maize, Jowar, Bajra, Ragi, and pulses. The cash crops include cotton, sugarcane, oilseeds, coffee, tea rubber, and chillies. The major industries of Tamil Nadu include cotton textiles, chemicals, fertilizers, paper and paper products, printing and allied industries, diesel engines, automobiles and parts, cement, sugar, iron and steel, and railway wagon and coaches. The state of Tamilnadu is the largest textiles producer in India and an important exporter of leather and leather products, cotton piece goods, tea, coffee, spices, tobacco, etc. There are a number of hydel power stations in Tamil Nadu. The atomic power plant is located at Kalpakkam, in the Chengalpattu MGR district. Tamil Nadu is rich in handicrafts; notable among them are hand loomed silk, metal icons, leather work, Kalamkari (hand-painted fabric, using natural dyes), brass, bronze, and copper wares, and carved wood, palm leaf, and cane articles. For the best Chola bronzes and a glimpse of the magnificent paintings that flourished under Maratha rajas in the 18th century, travellers should head for Thanjavur. Chennai (formerly, Madras), the largest city in South India and the fourth largest city in the country, is located on the Coromandel Coast. The city's British lineage is evident in the various cathedrals, buildings in Indo-Saracenic style of architecture, wide tree lined avenues but there is no denying its traditional Tamil Hindu culture either. This is not surprising because this region had remained a centre of Pallavan culture long before the British came here. The varied aspects of traditional South Indian culture existing alongside the lifestyle of a modern city complete with its plush hotels, restaurants offering a range of continental to typical South Indian cuisine, long and uncrowded stretches of beaches, modern shopping malls, cinema halls, etc. Tamil, the official state language, is spoken by most of the people. The main religions in Tamil Nadu are Hinduism, Christianity, Islam, and Jainism. There is an established caste system, and the traditional differentiations here are a lot more pronounced than in many other parts of the country. 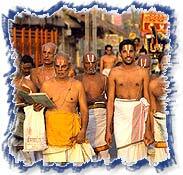 The Brahmin community in Tamilnadu is very pious and people normally have a white mark on the forehead to signify caste. 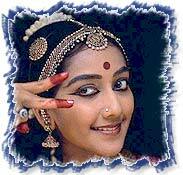 Bharatanatyam, one of India's major classical dance forms, and Carnatic music are both widely practiced. Painting and sculpture, however, are less developed, although there are schools that teach the art of sculpture in stone and bronze. Tamil literature rapidly adapted to the Western literary forms of the novel and the short story. Since the 1940s, cinema has become the most popular form of mass entertainment. There are both touring and permanent cinema theatres; and sentimental and spectacular films, often featuring light music and dancing, are produced by the film studios situated largely around Chennai. The main festival of Tamilnadu is Pongal, which is a harvest festival celebrated in the month of January. Feasting, music and dance mark this festival. "Karthigai Deepam" and "Varushapirapu" (Tamil New Year's Day) are also celebrated on a grand scale. Several temple festivals are held throughout the Tamilnadu, of which The Mahamagam festival celebrated once in 12 years at Kumbakonam, Meenakshi Kalyanam festival at Madurai, Natyanjali Dance Festival at Chidambaram are the famous ones.